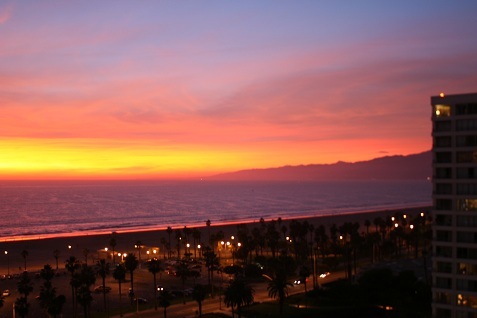 The sunset view above was taken from my old apartment in Santa Monica. It was right on the beach and I suspect it would have been very attractive to rent on a nightly basis for days I couldn’t be there. The first site listed below didn’t exist at the time, but now people from around the world can rent spare rooms or entire houses or apartments using Airbnb.com with access to over 1 million people who might be interested. We’v listed some of the best sites out there for renting rooms and vacation homes apart from your standard travel sites. If we’ve missed a good one (or a new one is launched) please let us know. This site is getting all the buzz in this space. You can read much more about it on publications like Forbes and Fortune, as the founders have raised over $120 million in venture capital. The site is beautifully designed and very easy to use. It’s easy to post rooms or places to rent and it’s equally easy to find what you’re looking for. The site is also loaded with photos and users are ranked with feedback so you have some idea of the kind of person you’re dealing with. This site is geared to vacation rentals, and the quality of the rentals seems to be excellent. The ethos here is very different. The idea isn’t to make money but to connect with people who are traveling or find people willing to host travelers. It’s much more suited to the backpack set, and this nonprofit has created an interesting community of like-minded people. The name says it all here. We’ve seen this in the movies and the concept is pretty simple. Swap homes with someone else looking for travel and nobody has to pay anything. It’s crude and simple, but it’s still an amazing resource. Go to any town and you can find places to rent right away, and you can move in often the same day. The design of this site hasn’t been updated in years and it shows. That said, you will find some good listings here, so it’s always worth checking out.